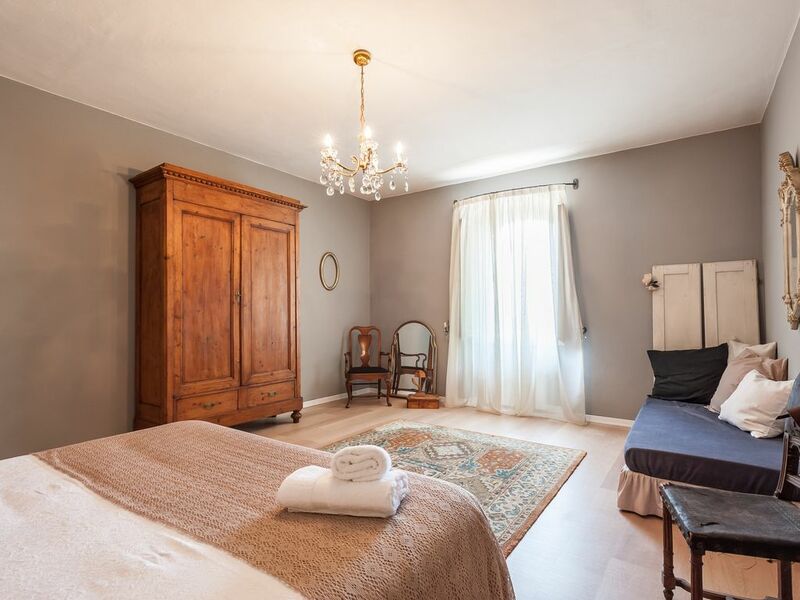 La casa del Rigattiere is situated in the historical centre of one of Tuscany's delightful walled medieval villages, this beautifully appointed apartment is positioned in the historic centre of the once fortified village of Castiglion Fiorentino. It was built on the towns medieval walls in the 40's and is close to all amenities. There are 30 free car spots on the street or a covered garage for a small car should you need one. The apartment is on the first floor and provides sleeping accommodations for 6-7 guests with two large double bedrooms (one with original wood beams), one with a king sized bed and twin, the other with 3 twins two of which can be connected to make a comfortable queen size bed. The lounge can also be converted into a twin for a 7th person. A large bathroom with huge walk-in shower is off the living area, there is also a bathroom in the garage. This apartment also has wifi, air conditioning, heating, and washer. I am Australian, mother to 2 children and am fortunate to live in one of the most beautiful places in the world...Tuscany! My husband and I have a small villa in the Tuscan hills between Arezzo and Cortona amongst olive trees and love sharing our local knowledge and experiences with people all over the world. Chauffer available for 100 euro a day plus gas. Just ask for availability.